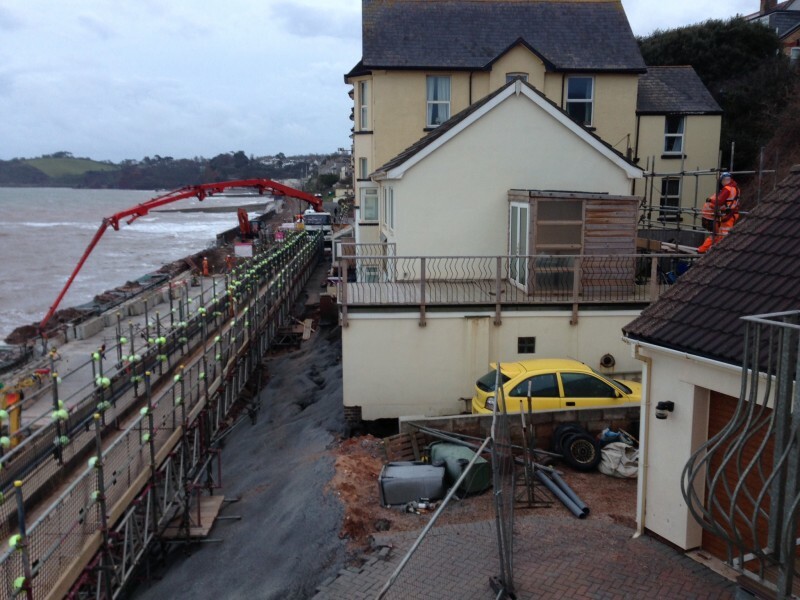 News garage doors, roller doors, roller garage doors, strong doors, weather proof Comments Off on The Great Storm of Dawlish – and the resilience of a Birkdale Roller Door? 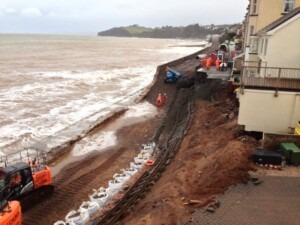 Hit by 100mph winds, the sea banks of Dawlish gave way, causing a land slide and a significant stretch of the sea wall to collapse. Roads and railways were damaged and people were left stranded. The strong winds caused damage to peoples’ homes; walls and driveways were washed into the sea with the land slide. “My neighbours property was the worst affected and their garage effectively ended up in the English Channel. We all kept our fingers crossed for at least a couple of weeks, fearing further washouts and collapses. 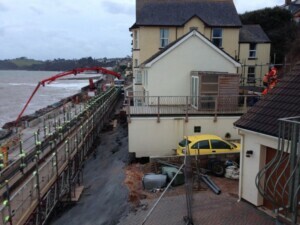 The road which was swept away was called Riviera Terrace and the incident is now referred to as The Great Storm of Dawlish. Another storm came in and hit on the night of 14th Feb, again causing further washout of the railway and further damage to local property. The railway line connection was cut for two months re-opening on 4th April 2014. The repairs are ongoing and multi millions are being spent, Through the strong winds and salty sea water hitting properties, the garage door was untouched. The drive way had collapsed and many people in the area, including themselves, received extensive damage to their property but, through all of this, the garage door stayed fully intact. We are offering sales and installation training on all of our products so if you would like a demonstration on what makes our doors so resilient.